Please tell me if you are confused or how you would like to improve this site @ Dozenal > Blogs > Buffoonery's Blog within the forums (the link above). Before you start reading, please take note of the navigation menus at the top. You can access the entire site from there. The number 12 is ubiquitous. It is the basis of time, music, and imperial measurement. In many beliefs, twelve has a symbolic meaning, usually representing completeness and perfection. When we count beyond 12, we start the "teens", thirteen, fourteen, fifteen, etc., but eleven and twelve don't follow this. A closer look shows that twelve was not chosen arbitrarily, it's a beautiful number with amazing qualities.  Based on the number 12, the dozenal system is an alternative to the decimal system. The main difference being in how the number 10 is represented. As all of us are decimal users, this means we would pronounce 10 as "ten". Yet in the dozenal system, we say 10 as "ka". Some say that twelve should be called "do". However, that "do" can cause problems, since it literally means "2". This causes a problem of overlapping nomenclature. An example is the "dodecagon," a 12 sided polygon. This could be read as, "twelve and ten sides". Dozen literally translates to, "two (and) ten", with the "do-" part meaning two, and the "-zen" meaning ten. ​In german, "zehn" means ten, and in most languages there is a variant of "do" like dos (Spanish), deux (French), duo (Latin), etc., all meaning two. 1, 2, 3, 4, 5, 6, 7, 8, 9, ᕍ, Ƹ, 10. 11, 12, 13, 14, 15, 16, 17, 18, 19, 1ᕍ, 1Ƹ, 20. Let me be clear by saying that the decimal system does not need to be abandoned, as the dozenal system can be translated back and forth. You would use the dozenal system for its quicker termination, to quicken arithmetic with fractions, and enjoy the elegance now unlocked in every day tasks. One of the biggest reasons to adopt the dozenal system is to have shorter terminating numbers and less recurring numbers. To prove my point, I have provided a scenario that uses addition, multiplication, and division. For both systems I will set a simple task. 4: Multiply the sum by half of 10. This is one of the reasons people say quite frequently, "I don't want to do math, it's too much work." Let’s continue with a scenario in which someone has two 2x4s. Cut one at 10 ft decimally, the other at 10 ft dozenally. I've highlighted in red the numbers that continue a long series before termination and the numbers that do not terminate (recurring). Do you see the advantage here? My point is that having a long or non-terminating decimal forces us to use calculators, or use fractions as we do with the imperial system. We are limiting ourselves severely in mathematics when we continue these practices. If we have a 2 x 5 egg carton and we try to square it off by adding another box parallel to it, we end up with 4x5. Well, that's not square, so we do it once more, 6x5. Unfortunately, it's not going to work. I guess the easiest way to start is to get you to look at your hands. You have 5 fingers on each hand, they add up to our 10. So because of this, the decimal system was created. But, what about the joints on each hand? You have 4 fingers, each have 3 joints- 12 spaces. Furthermore, you have a free thumb that can be used to index through them. So, you save a hand and you can count all the numerals without dropping what you were holding. meaning you can calculate on paper, no calculator needed. Patterns: multiplying and dividing most numbers can lead to a straight forward patterns, leading to easier memorization. What if I were to tell you the dozenal system has all of these advantages and still supports the metric system; 1000mm still equals 1m. So you can have the best of both worlds, imperial and metric in harmony. Anyway, I hope I've encouraged you to read on. To help, I've split the rest of the blog into left and right so you can read in both mindsets of decimal and dozenal. To read more, continue onto Counting at the top (within the introduction tab).